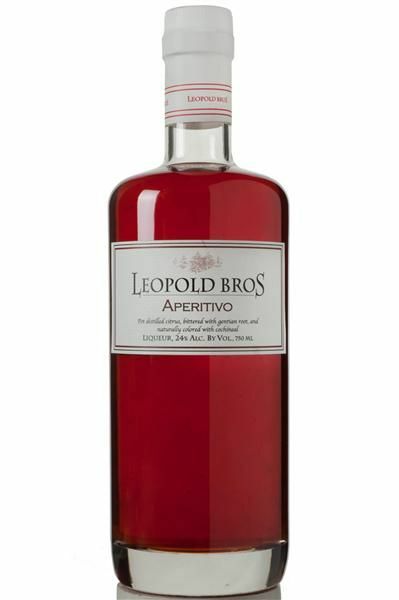 Leopold Bros. Aperitivo, is an American take on the classic style of the Italian bitter aperitivo spirits, (aperitivo originates from the Latin word “to open”) honing in on three major components of its inspiration: sweet, bitter & citrus. We individually distill each ingredient to maximize the unique flavors, which includes grapefruit peels and coriander. Once the distillates are mixed, Sarsparilla and Gentian roots are steeped in the spirit to endow a distinctively palate-pleasing bitterness for which aperitivo is widely celebrated. Hyssop and other aromatic flowers are added lending a tantalizing nose to arouse the appetite. Delightful with soda and lime, or in a classic Americano.